Another day, another “Reckless Love” cover. Yep, this time, just this past week; CCM/worship group I Am They have unveiled their studio version of Cory Asbury’s mega smash hit- and while the melody has been covered by many artists inclusive of Cimorelli, Anthony Evans, Avalon, Michael W. Smith, The Union Of Sinners And Saints, Anthem Lights, Tyler Ward, Jo Dee Messina and Passion; there’s something about this acoustic guitar and piano led heavenly and ethereal experience that brings me to my knees, that has me passionately singing this song with zeal and fervour along with lead singer Abbie Parker. Yep, it’s true that we have reviewed the song twice here and here (even without reviewing the actual song and album from Cory Asbury…which we will, we really promise! ), however I Am They’s version is so, so good! Don’t believe me? Well you can check out the song on iTunes, Youtube and Spotify, and then get back to me! If you want to know more about I Am They, you can read my review of Trial And Triumph which released earlier this year. And if you want to know more about the song “Reckless Love”…well, you can check out the Wikipedia page. So I guess in all fairness, I probably don’t need to say anything else, and I can leave you with the song to be blessed, inspired and captivated. But with regards to this ‘review’ and my overall judgement of this exquisite version, let me just quickly touch upon the fact that I don’t think there’s any version that I hate- this one included, and testament does need to be given to Cory for writing such a compelling and hopeful melody. Yes Jesus isn’t reckless (some people would be uncomfortable singing that Jesus’ love is reckless! ), however according to Cory’s lengthy post on social media, he has good reason in his opinion to include that term in the song. 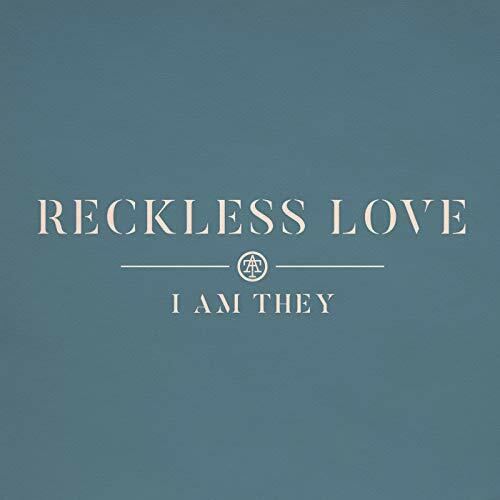 Regardless of our theology though, “Reckless Love” continues to soar in leaps and bounds, no matter who is singing it- and that is only a good thing as long as people are responding to the gospel being conveyed. So until such a time as Cory Asbury’s album is reviewed by us- which will be very soon; let me just sound off by quoting a paragraph from one of my previous reviews of “Reckless Love”. And by saying bravo and well done to I Am They, who have unveiled a near flawless masterpiece! When are you going to post a review of Crowder’s new album?